It's CHRIIIIIISTMAAAASSSS! Merry Christmas, ya filthy animal. Right, now that's out of the way, on with today's post! I'm sure many of you will be off celebrating, and not reading blog posts today of all days. But today's post is for those of you who maybe need something to read before bed, a diversion from the joy of family, or even for those of you who just don't celebrate Christmas. It's an easy, photo heavy post today; another haul post! So grab some eggnog/mulled wine/a cup of tea, and get comfy. Here's what I've been buying recently. Let's start this post off with something festive, shall we? It seems appropriate! 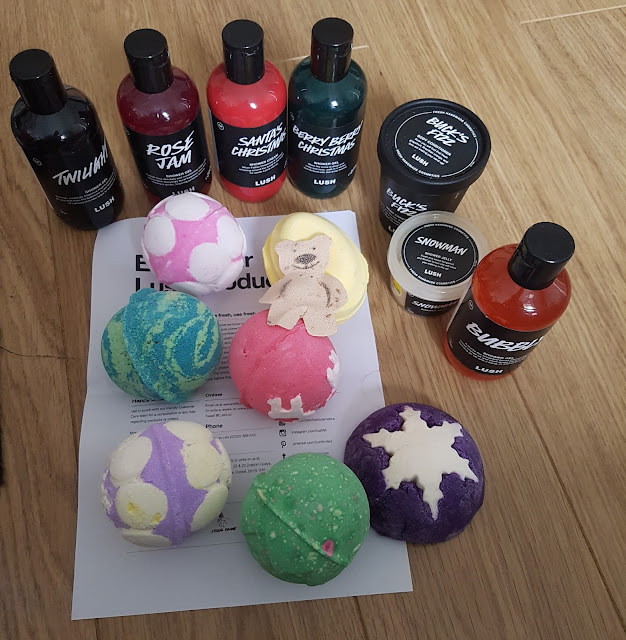 I placed a pretty massive Lush order as soon as they released their Christmas range and guys, I am so excited about all of their new shower gels/creams! I LOVE the Fidget Spinner bubble bar. Not only does it smell amazing, look adorable, but it's also fully functioning. Yep, it really spins! 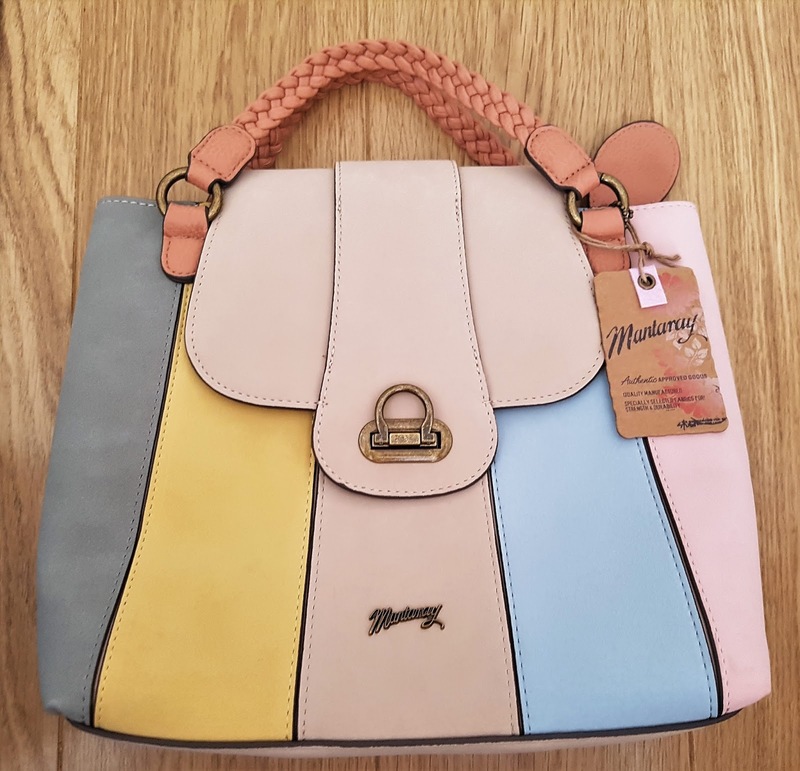 Against my husband and mother-in-laws advice, I bought this bag. Joke's on me, though, because they were right. It is too small for everything I carry around on daily basis. So I'm keeping it for best! 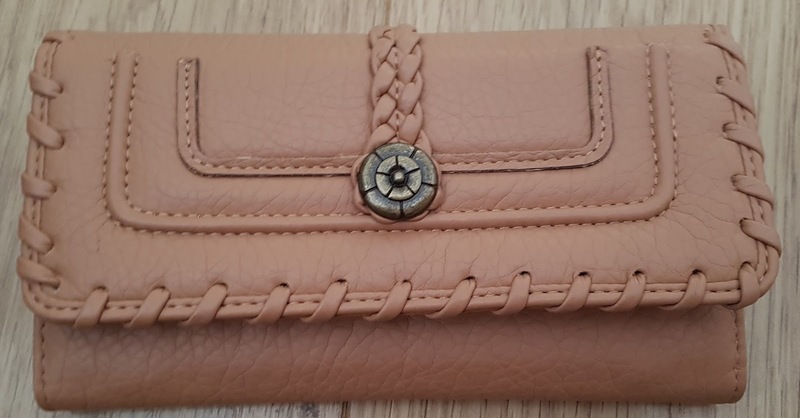 I mean, did you even buy a new handbag if you didn't buy a new purse to go along with it? Answer; no, no you did not. 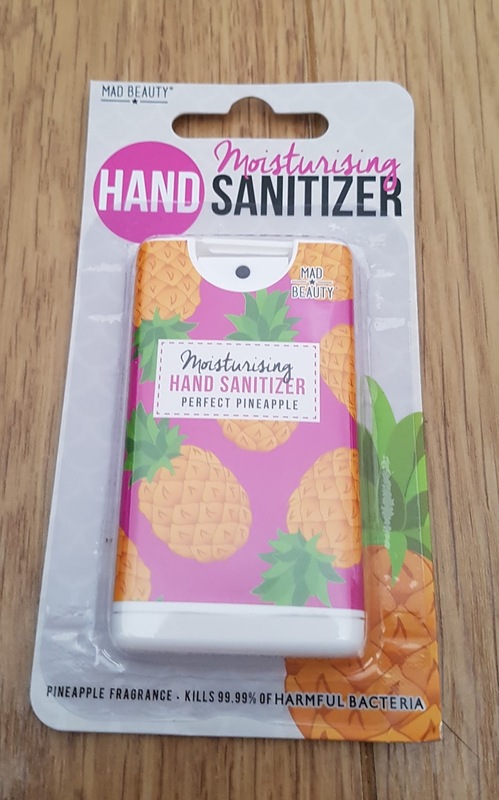 Mad Beauty do the BEST hand sanitizers. 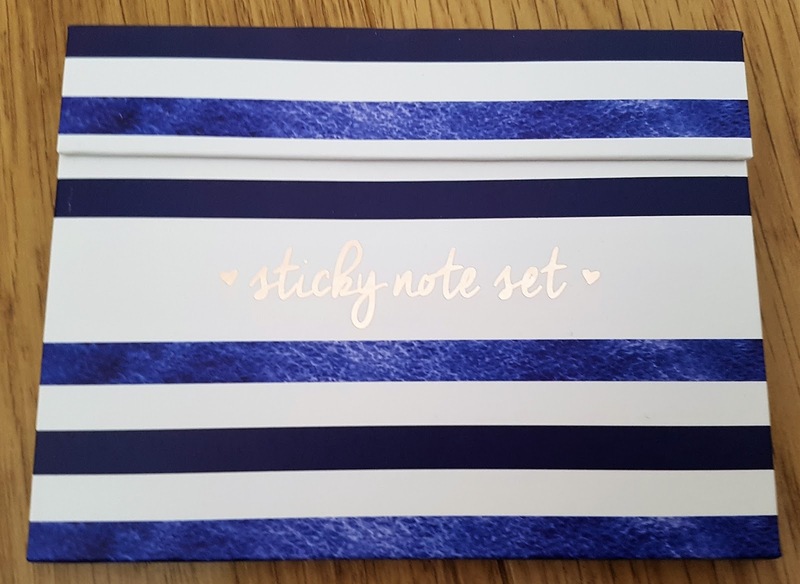 They look cute, smell amazing and are the perfect size to pop in your pocket/handbag. I'm a huge fan. 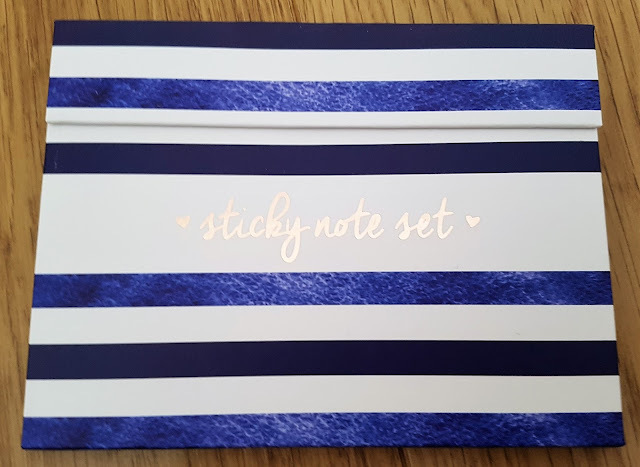 I found this adorable, nautical themed sticky note set in Poundland (or Poundworld, I muddle the two up frequently) of all places! Bargain. I know I could probably wash these makeup sponges, but I'm too lazy, so I don't. 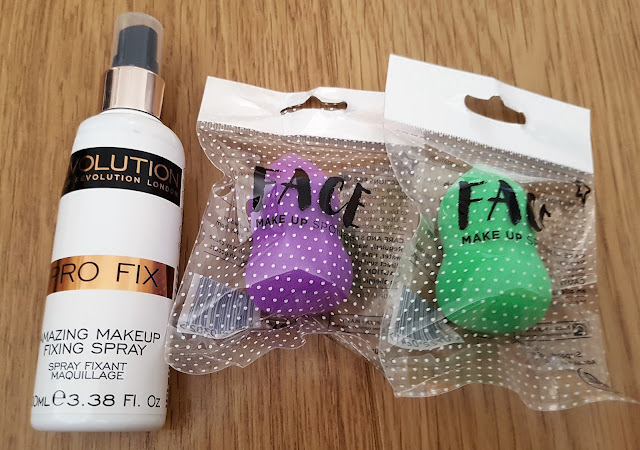 I just buy new ones when my old ones start to look grubby! I've been desperate for a new pair of trackies since, forever. Especially as I want to take up running again in the New Year. 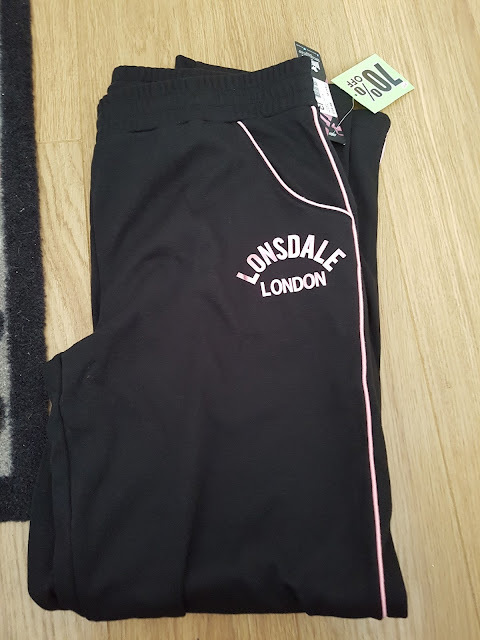 Found these in Sports Direct, and as my mother-in-law had a credit voucher for there, I didn't have to spend a penny! A little pre-wedding haul post right here. I picked up some ballet flats from Shoezone to wear at my wedding reception because I knew my feet would be too sore for heels by then! 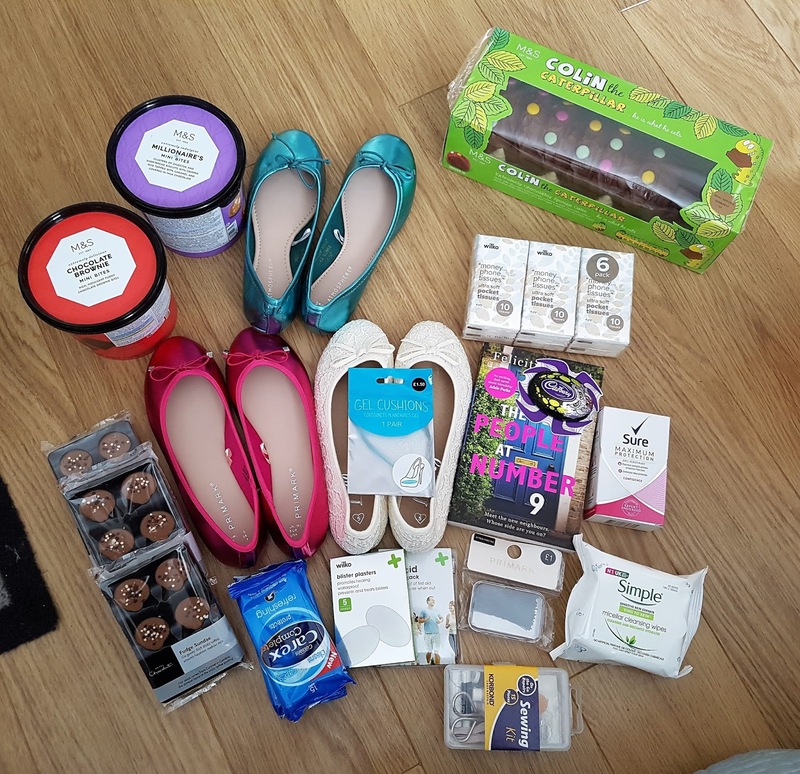 I also picked up a few bits for my wedding handbag; essentials like a sewing kit, blister plasters, first aid kit and gel cushions. Whilst I was out, I couldn't resist stocking up on chocolate. And I managed to find Colin the Caterpillar just in time for my birthday! Okay, but how do you take a good photo of a dressing gown?! 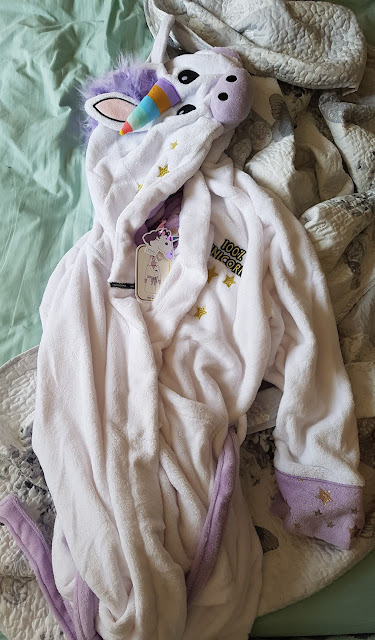 I found this in Primark, and after eyeing it up for a good few months, finally took the plunge and bought it! 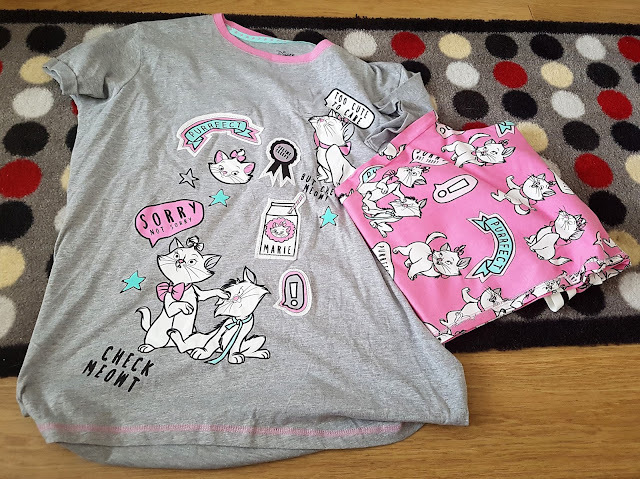 Because I get so hot in bed, even during the Winter months, I go through these pyjama sets quite quickly. So I'm always picking up a new set when I'm in Primark. 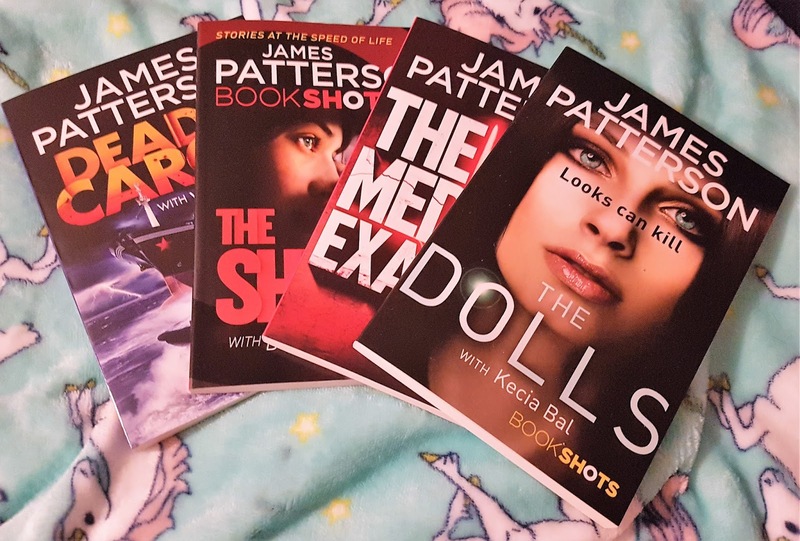 A few new books! I was so excited for The Girl Who Takes An Eye For An Eye, but sadly it did not live up to my expectations. 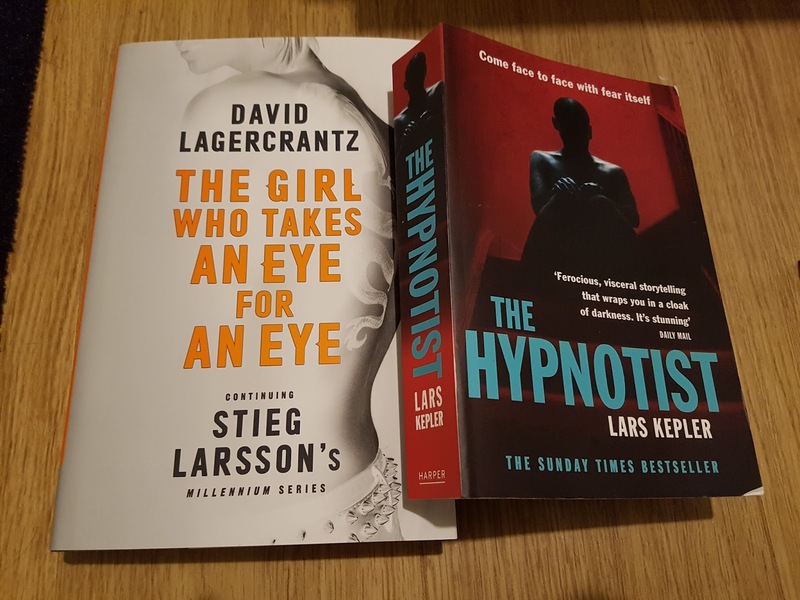 The Hypnotist, on the other hand? That was a good book! 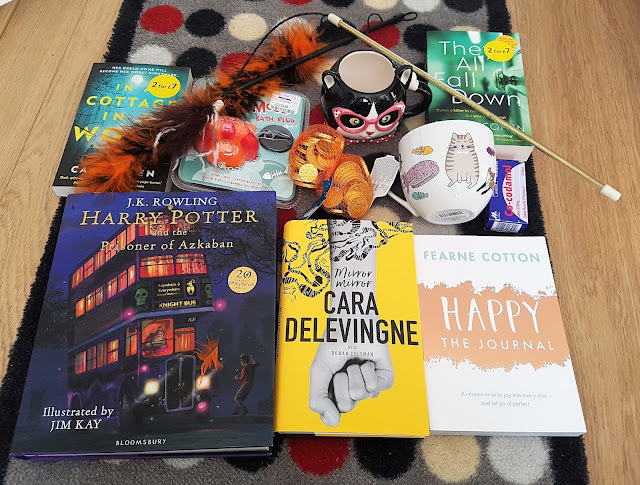 The mug might not be new, in fact it featured in my last haul post I think, but the book is. Last year I read, and loved, The Little Book of Hygge. 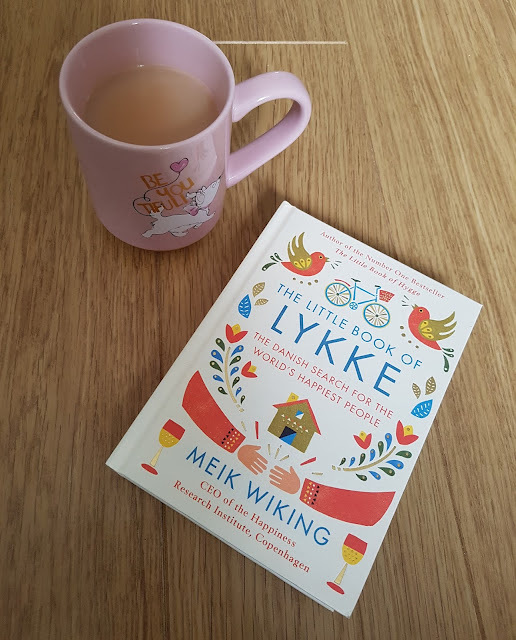 So when I heard about The Little Book of Lykke, I knew I needed to read it! 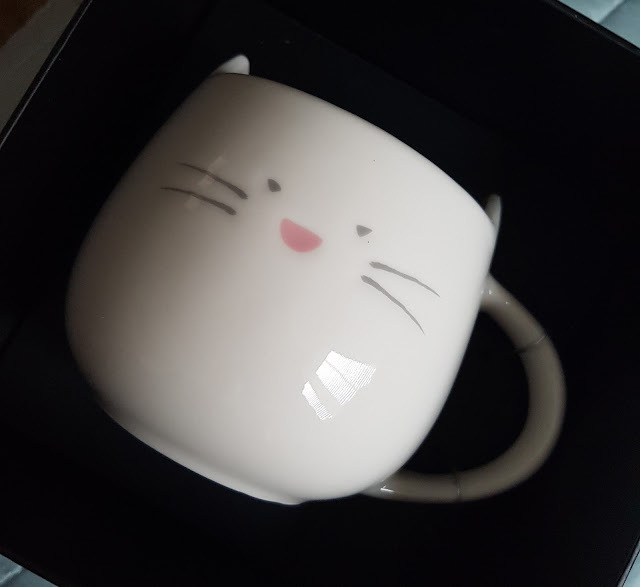 This adorable cat mug was a gift from my husband, and was from Card Factory of all places! I love it, it's so cute. 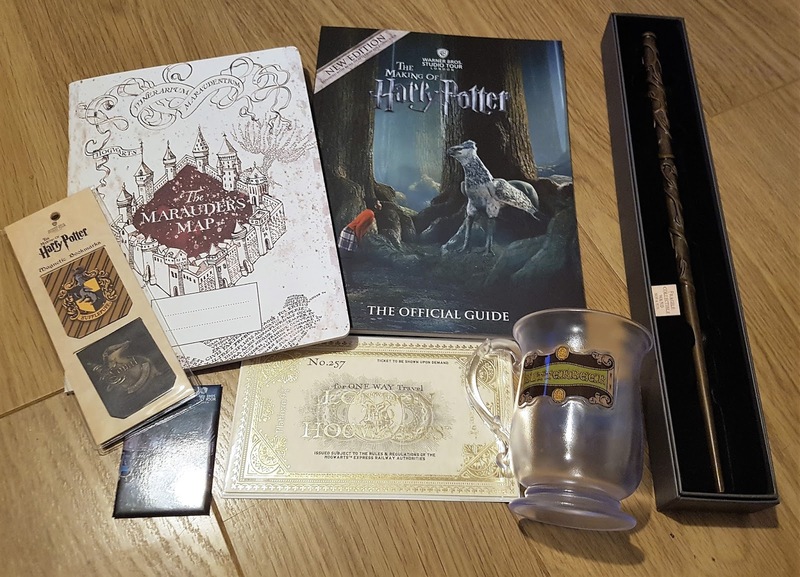 We're into September now, and our trip to the Warner Bros Studio Tour London - The Making of Harry Potter. There was no way I was going to miss a chance to spend all of my birthday money in the shop, and I managed to pick up a few lovely souvenir pieces that I will treasure forever. And, of course, some chocolate delights were a must! I grabbed two Chocolate Frogs and I am so glad I did, as they were delicious. 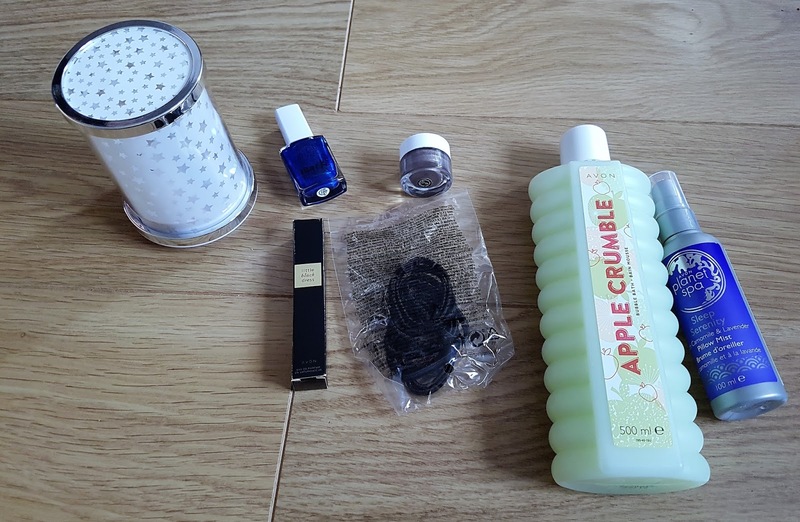 Just a little Avon haul.The starry, cylindrical object? A mood light that projects stars, or butterflies, when turned on! I also love this Apple Crumble bubble bath, it smells amazing and takes me right back to my childhood. I've wanted a Ban.do wall calendar for ages, but could never afford one. 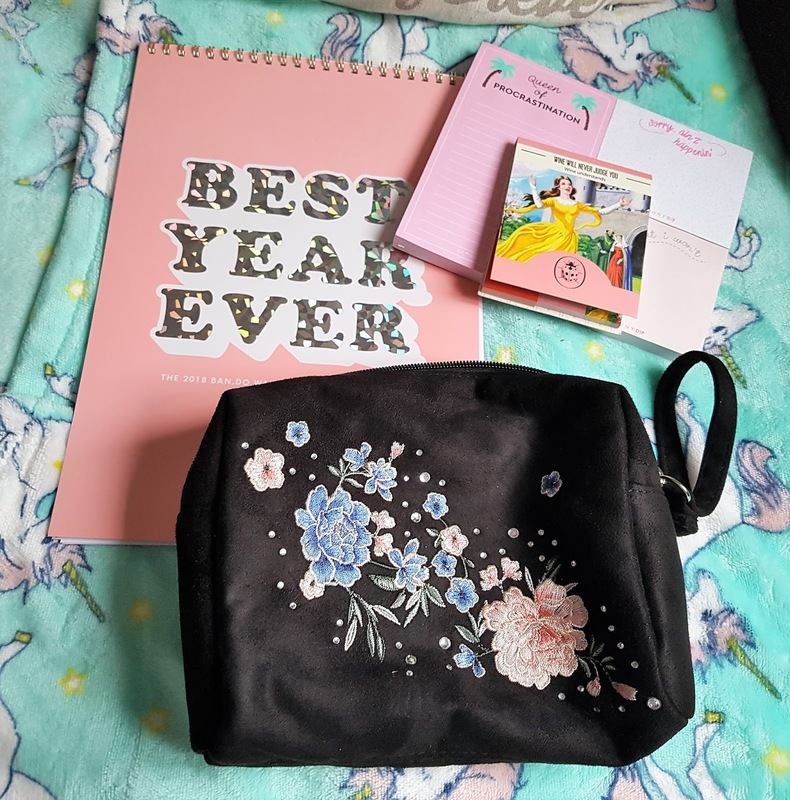 I decided to just treat myself this year! I also picked up these adorable Ladybird sticky notes, and Skinnydip sticky notes too. 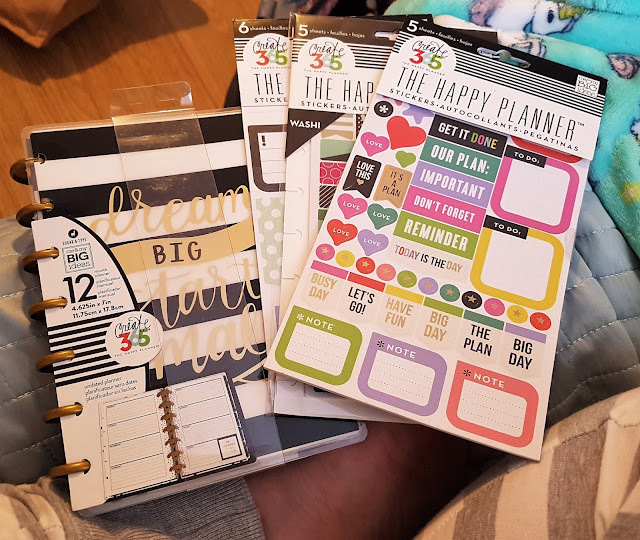 This planner's actually for a giveaway. But the stickers? They're all mine! 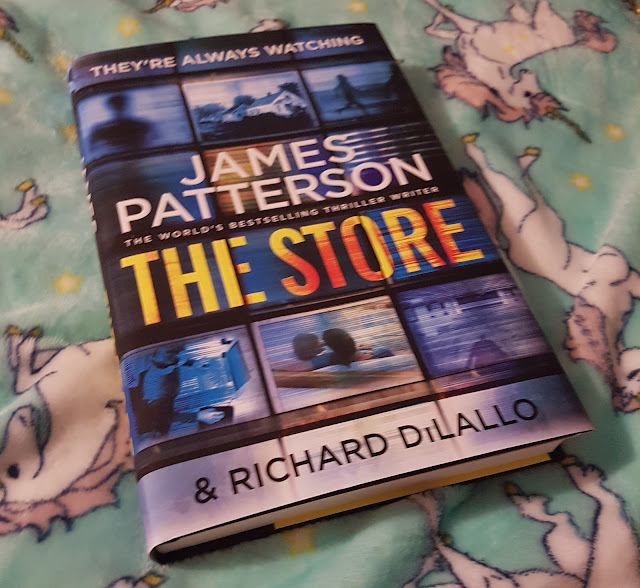 I find short reads, like this one, are great for getting me out of a reading slump. James Patterson has loads of Bookshots, so expect to see more of these in a future haul post! I'm becoming a huge James Patterson fan, and when I read the blurb for The Store, I knew I had to read it! Turned out to be pretty good, too. Of course I was going to pick up Harry Potter and the Prisoner of Azkaban, Illustrated Edition. Amazon failed to deliver it, so I picked it up in Asda. Along with Mirror Mirror by Cara Delevingne, which was really good, and Happy The Journal, by Fearne Cotton. I've also now read the other two books in this haul, and they were really good too. They All Fall Down, by Tammy Cohen, was one of my favourite books this year. 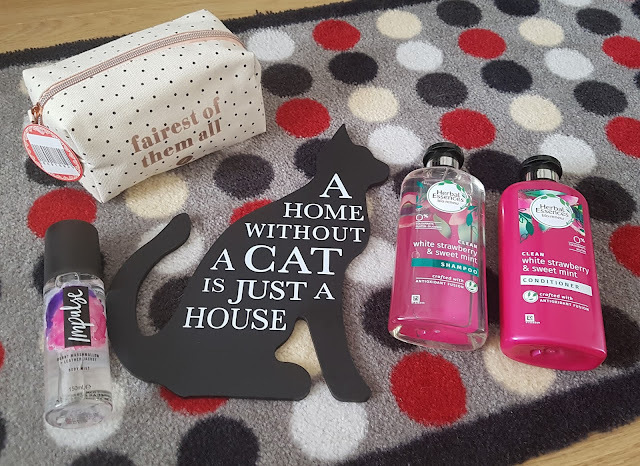 Couldn't resist a few cat mugs I spotted in Asda, either. 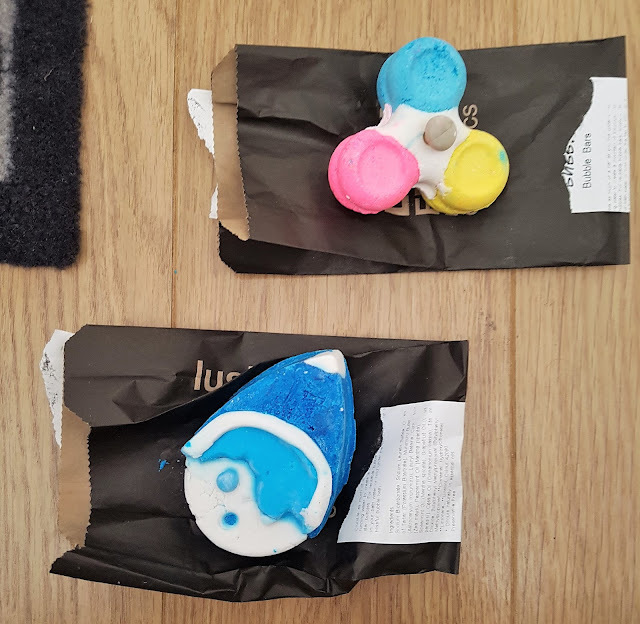 Nor could I pass up the Soggy Moggy plug, which you've possibly seen bobbing above the water in my bath when I post Lush bath photos! I love Herbal Essence's new range of shampoo and conditioner. It smells amazing. Also, this Impulse body spray smells amazing too; of burnt marshmallows and leather jacket, apparently! I have had SO MANY compliments on these boots. My mum says I should pretend they're really expensive, but I can't lie. 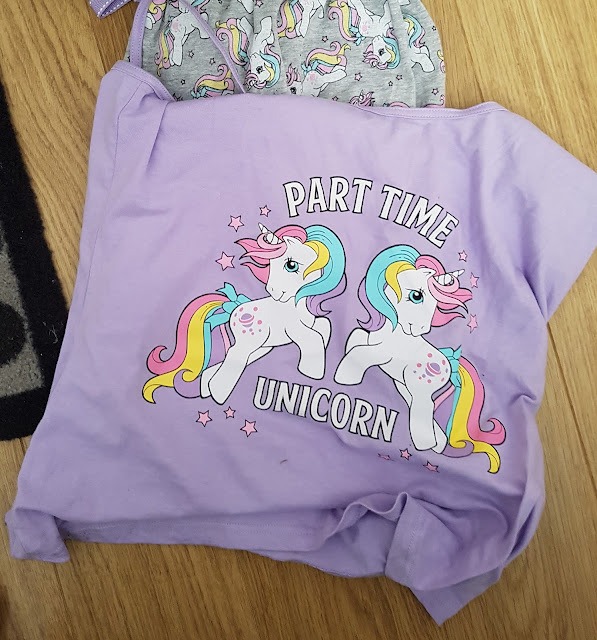 They were £16 from Primark, and the best money I've ever spent. I think I may have mentioned this once or twice before, but I love The Aristocats. Especially Marie! So when I saw these pj's in Primark, it was a no-brainer. 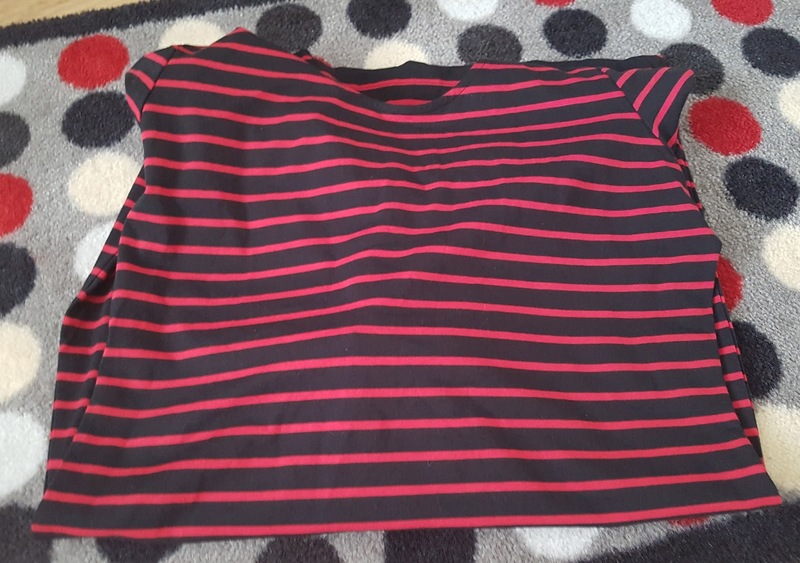 I also picked up this cute, red striped jersey dress for a fiver when I was in Primark. Looks great over leggings, and was so cheap and cute that I bought another one a week or two later! Hope you've had a wonderful Christmas Day, and enjoy another day of food, fun and family tomorrow! I love the lush fidget spinner and I love all of the Harry Potter stuff! The lush fidget spinner is just too cute!